Tuxtla Gutiérrez (Spaingie pronunciation: [ˈtustla ɣuˈtjeres]) is the caipital an lairgest ceety o the Mexican state o Chiapas. It is considered tae bi the state’s maist developit an important ceety an the financial centre o the state. Prior tae this, thare haed been nae significant dounset on the steid. 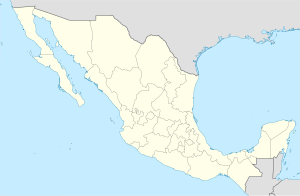 Unlike mony ither auries o Chiapas, Tuxtla is no a tourist attraction, but a transportation hub for tourists comin intae the state, wi a major airport an bus station. Wikimedia Commons haes media relatit tae Tuxtla Gutiérrez.